Hi! First post of 2016, how wild is that? It’s a new year and I’m trying to get organized and plan ahead a bit. Dunno if it’s going to work or if I’m going to stick with it, but for now I’m going to try to be responsible. First order of business is this post. My hand is kinda killing me, I think I overdid it last week and so I wanted to make a simple pattern for this week (possibly next week too depending upon how my hand is feeling). So, I went looking through old designs, earrings and such, to find a pattern that would fit. You might have already guessed I love turning old earring designs into applique/ coaster designs, as I’ve done it with Tea Cups, Cocoa Mugs, Cupcakes, and Pilsner/ shamrock, so that’s what I decided to do this week. 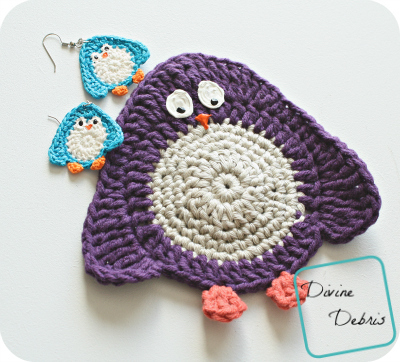 This week I picked my penguin earrings, the Penny Penguins! I hope you love them as much as I do. You can purchase an ad-free pdf of this pattern in my Ravelry shop. 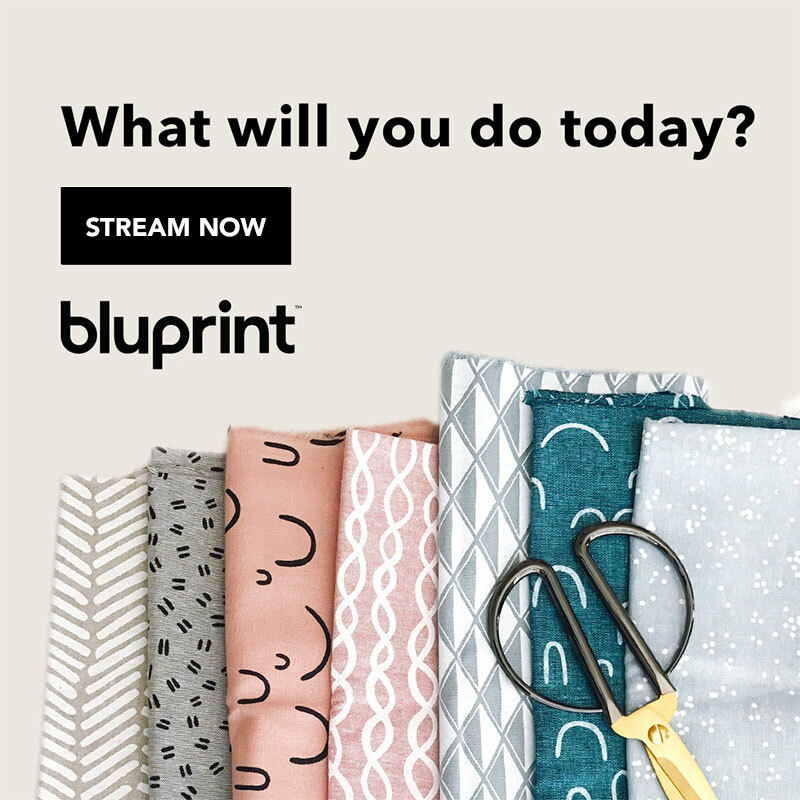 This purchase helps me continue to make patterns week after week. 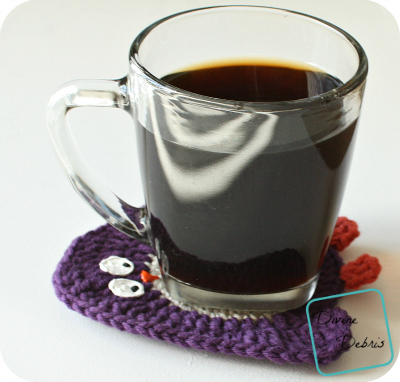 I used cotton yarn (just scraps I had, don’t know the brand) because I plan on using this as a coaster. Both patterns is worked in the round with a slip st into the first st of the row, until the last row, which is work just part of the way around. Color A is the cream, color B is purple, and color C is orange (in the photos for coaster). Earrings are color A is white, color B is blue, and color C is orange. The body of the penguin is created first and then the feet are attached. The last step is the eyes and beak. For the earrings you can use fabric stiffener to make them hard to the touch, this keeps them from getting all floppy when worn. The ch 1 on some rows does not count as a stitch. The ch 2 on some rows does not count as a stitch. The ch 3 on some rows does count as a stitch. Skip the next 3 sts. Using the puffy paint, add eyes and a beak. I like using puffy paint for details like that because it gives some fun personality to the design, especially because it’s not perfect, but if you’d rather make eyes (or use buttons) and a beak from thread and glue or sew the on go with that. Make them as big as you would like. When using puffy paint, make sure you tap the tip (cap still on) facing down on a solid surface, this helps to reduce the air bubbles that ruin pretty works. 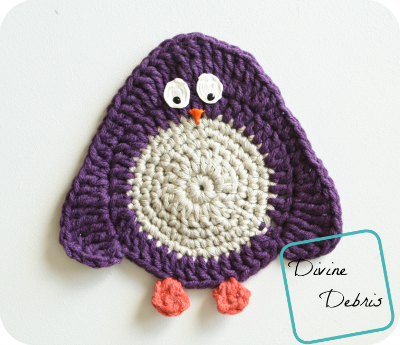 Let the puffy paint dry completely before you add the pupils or use the applique/ coaster. I’ve made that mistake before and it was a mess. A sad, ruined, mess of a project. Fasten off with this color, weave in your ends. Row 4: Ch 2 (does not count as a stitch), tr into same space, dc twice into the next st, hdc once into the next st, sc once into the next 3 sts, hdc once into the next st, dc twice into the next st, tr into the next st, dc twice into the next st, hdc once into the next st, sc once into the next 3 sts, hdc once into the next st, dc twice into the next st, tr once into the next st, ch 2 and sl St into same St as the last tr. Fasten off with this color, weave in all your ends. Skip the next 2 sts. Use diluted fabric stiffener to make the earrings flat as possible. I put them on a plastic wrap or bag and then get them completely saturated, then leave them to dry over night. When they are completely dry, apply the puffy paint eyes and beak. Be sure to tap your puffy paint, with the cap still on, on a flat surface tip down (this helps to reduce the air bubbles that pop and ruin pretty works). Next use your metal jump rings, this is where the pliers come into use, and attach one to the top of the head, then attach another to that. When you’ve got both of your rings attached, attach your french hook and then you’re all set! See, piece of cake! So, there you go! 2 designs this week, earrings and a applique/ coaster (I’m using it as a coaster for now). I hope you are tagging your photos on IG with #DivineDebris so I can see them, or sharing them on Ravelry. In other news, I have another design out with The Pattern Pack, my Southwest Necklace. It’s a fun necklace that you can totally do up and make it look complicated and detailed with different colors or you can keep it simple and use fewer. Either way, it’s a fun accessory you can totally use again and again. Right now it’s only available to purchase in the TPP, for more info go here. Also! 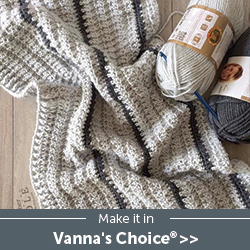 The new Viola Convertible Cowl is out right now. I put the whole Viola Line on sale for 50% off (all $2.12) through Jan 15th. And my testers are hard at work on another convertible cowl pattern, so I should have that released later this week. I hope your new year is going well. Take care! 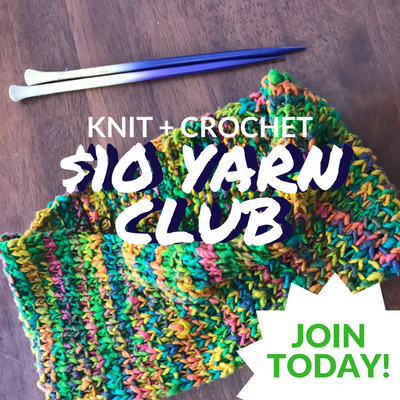 This post is linked to: The Linky Ladies Community Link Party #33, Hookin’ on Hump Day #110, Rebeckah’s Treasures Saturday Link Party #29. This penguin is adorable. Just what I need to finish off a purse I’m making. Thank you and Happy New Year. Well, I got so excited when I saw the earrings I commented before I read your post! Seems the applique was inspired by the earrings . . . . All still new to me and all still wonderful, wonderful! And rest up, please, there’s a whole exciting year ahead . . . Here is hoping your hand is feeling better! These are the cutest things ever! I plan on making the earrings for my sister as a surprise gift. She does so much for our Mom who lives near her and I live 10 hours away. I like to do little things “just because” every once in a while and I think she’ll really like these. Thanks for the adorable patterns. Such a cute applique! I love it as a coaster, too! So cute, I love him! A happy New Year to you and good health! These are so cute either way! These Penguins are so sweet! 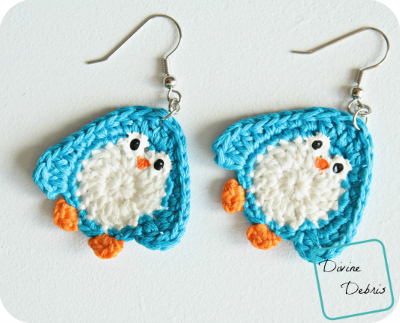 I just finished a pair of plastic canvas penguin earrings and they have been a big hit. I will give these a try and definitely be trying out the fabric stiffener method here. Will be very handy thanks! Can’t wait to make the cute earring ,I’m going to buy everything tomomorrow . Thank you so much. Fantastic Perfect Penguins! Thanks so much for sharing. My granddaughter will love them. Making these tomorrow. Too cre. Do you have an elephant earring pattern? Adorable coasters! Think I’ll start my Christmas crocheting really early this year! !